Every week, the Bureau of Development Services publishes lists of Early Assistance applications, Land Use Reviews and Building Permits processed in the previous week. We publish the highlights. This post covers January 14th to January 20th, 2019. Proposal is for an addition of four multi family residential units to an existing duplex. Stormwater proposal to be drywell. Anticipated to be new 7-story multi-family residential building over 1 of below grade parking level. Total building will be 271,708 gross sf (234,425 sf FAR), 300-350 units, plus residential amenities. Inclusionary Housing will be triggered, and provided on-site at standard rates. Stormwater treatment is anticipated on-site via flow-through planters. Possible street vacation. Change of occupancy from M and B to R-2 and A-2, S-1 for shelter housing to include sleeping beds, commons, kitchen bathrooms, showers, storage; seismic upgrades and exterior site improvements. NE 106th & Halsey will include a mix of affordable and market rate housing, adjacent to the new Gateway Discovery Park. Image taken from the presentation to the Design Commission in February 2018. Every week, the Bureau of Development Services publishes lists of Early Assistance applications, Land Use Reviews and Building Permits processed in the previous week. We publish the highlights. This post covers May 7th to May 13th, 2018. Demolish existing house and build a new 5-unit multi-dwelling building. Redevelopment of the 20,000 sf surface lot across the street and east of the main Trinity Cathedral campus, with the potential of including the 10,000 sf parcel in the SE corner of the same block. The primary purpose is to expand parking capacity for the Trinity Cathedral on Sundays through a shared parking arrangment with a new commerical and/or mixed use development on the site. Both sites have requested a zone change to CM3 through the Map Refinement Project. Redevelop the entire Kellogg Middle School site. Demo existing structures and remove the debris. Development of vacant field since the property will then be graded and reseeded in anticipation of the redevelopment of the site in spring 2019. The cleaned site will house a new 105,000 sf school structure, off street parking area and bus loop, recreation field, and a limited service access road. The off-street parking area will contain 34 parking spaces, 2 of which will be handicapped and 2 carpool parking spaces. A free-standing obelisk sign will be located at the corner of SE Powell Blvd and 69th Ave.
Mixed use development fronting SE Halsey and Gateway Discovery Park and includes 40 units of affordable housing and 35 units of market rate housinig. Retail spaces and residential amenity spaces on the ground floor, office space and residential units on the second floor and dwelling units on floors 3-6. New mixed-use 4-story building with 87 dwelling units, 2400 sq ft of commercial space, associated bike parking and back of house service areas. STR – New, 15 story hotel – STRUCTURAL AND BELOW GRADE WORK ONLY, Below grade electrical and plumbing work, mat slab foundation system, concrete shear walls and columns and PT concrete decks. New 23,569 sf 5 story mixed use bldg. Primary bldg. Occupancy is mercantile (M) with storage (S) and business (B). Bldg. Will be fully sprinkled and iii-a type of construction. Core and shell construction. Every week, the Bureau of Development Services publishes lists of Early Assistance applications, Land Use Reviews and Building Permits processed in the previous week. We publish the highlights. This post covers January 1st to January 7th, 2018. Current code info: Demolition of existing Burger King (3,929SF) and development of 2 new drive thru pads. Project will include new and reconfigured parking and associated landscaping improvements. New trash enclosure will be constructed to serve the two new restaurants. New square footages of the two new restaurants will be 2,866 SF and 2,265 SF. They will also need to adjust the property line. 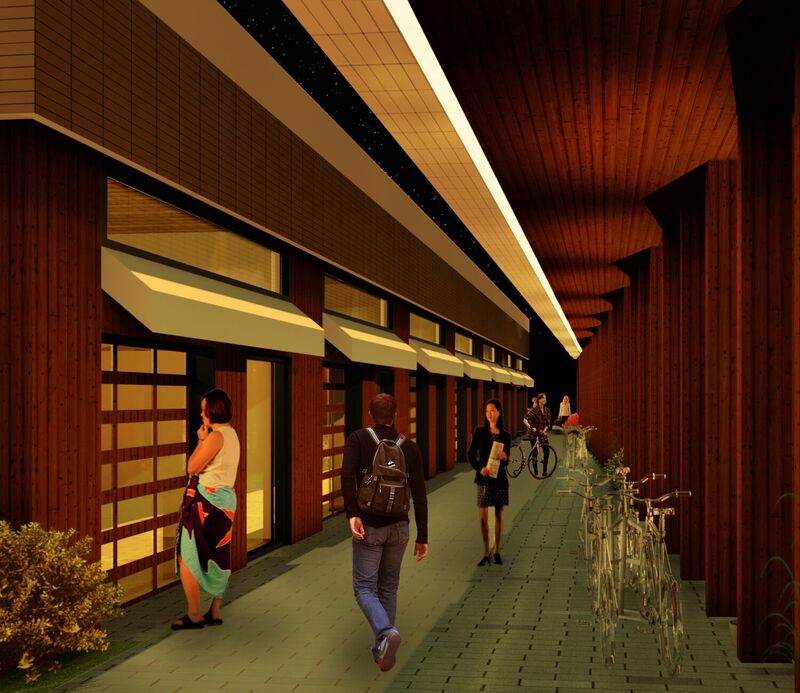 Current code – Conversion of existing commercial tenant space into a 24-hour, mass homeless shelter with sleeping areas for approximately 130 people, restrooms and shower rooms, administrative spaces, a multi-purpose room, common space that doubles as a dining area and a pantry. Exterior courtyard will be used as the main entry and control point as well as providing access to the waiting area and recreational uses. This shelter to be operated by Transition Projects. Current Code: New mixed-use apartment building with approx 150 homes and ground floor retail and amenities. 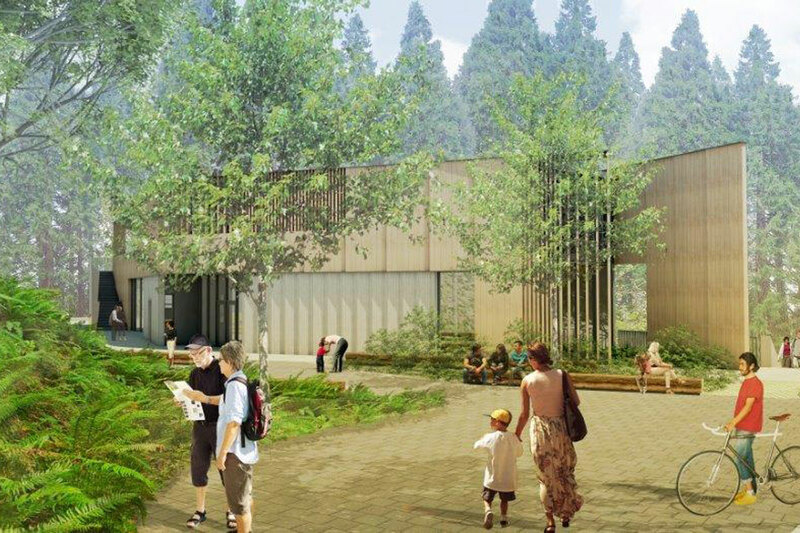 Forest Park Entrance and Nature Center project: Nature Center with restrooms; access drive and parking with ADA spaces and bus parking; trailhead and accessible pathways connect to Forest Park; and street frontage improvements. New 3 story, 30 unit apartment building , includes associated sitework and retaining wall. See fire appeal # 14490 for allowing a distance of fdc from a hydrant up to 345 feet.